SmartHub Web can be accessed on the Choptank Electric website, located on the top menu. Simply enter your e-mail and password and you will be directed to your account portal. You can also register for a new account or get help if you are experiencing issues login into SmartHub. The home screen provides an overall view of your account. You will find sections to review and pay your bill, monitor your usage, and change account settings. 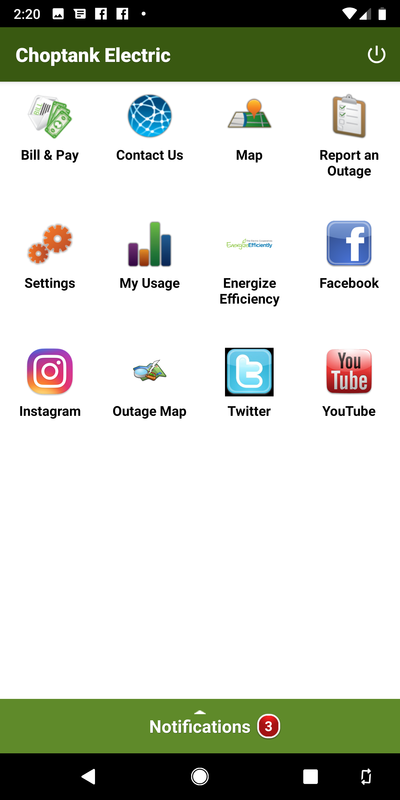 For mobile users, the home screen of the SmartHub App allows you to view and pay your bill, report an outage, and adjust your settings. The Usage Management screen contains a suite of tools that contains the Usage Explorer, Usage Comparison tool, Average Usage tool, and Net Metering Analysis (for members who have solar power). Additional advance tools to plan and monitor usage can also be found by clicking the Plan and Save button. ​​​​​​​While not as robust, the SmartHub App also allows members to view usage history on different scales, from hourly to annual. Although adjustments to notifications are not available on the SmartHub App interface, any notifications set up on SmartHub Web will be received by SmartHub App users. 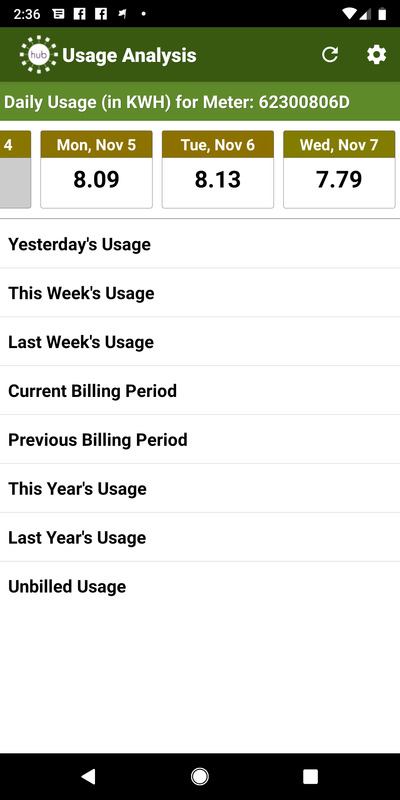 How to receive e-mail or text alerts when your account exceeds pre-set limits on usage.